Home / Clearance Items / Keepeez – 4.5″ Vacuum Lid GREEN PRODUCT!! Keepeez – 4.5″ Vacuum Lid GREEN PRODUCT!! Keepeez – 3.5″ Vacuum Set of 3 Lid GREEN PRODUCT!! Fits ceramic, plastic, glass and metal containers (round or square) up to 4.5″ wide. 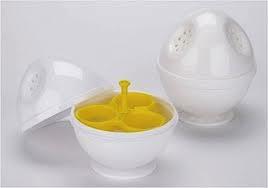 The Keepeez LID is all you need to vacuum-seal your favorite foods. Keeping Air Out Keeps Food Fresher Longer. Air is the enemy of food freshness. The oxygen and moisture in air cause food to degrade over a short time and lose flavor and nutritional value. The bacteria and pollutants in air further accelerate such degradation. Conventional containers and plastic wrap actually trap air inside with food. But the innovative Keepeez vacuum packaging process removes air from your existing dishes or even cans or jars when you press the Lid’s center, which seals dishes airtight. Its proven technology extends food freshness up to five times longer.